This year, like every other year has had its fair share of gaming controversies particularly as the year draws to a close. There were quite a few this year and I picked five that stood out to me from the rest. To say this game was highly anticipated would be an understatement, unfortunately when it finally released it had a lot of problems, with the game being buggy, facial animations not looking right and so on. From what I can gather from reading various articles is that the main development team was busy working on the upcoming Anthem, and handed Andromeda off to a different development team and that team outsourced some of the animation work. I have to say that I did enjoy playing the game and wish there was going to be some story content to tie up some open plot points. Atlus the developer behind Persona 5 threatened to ban people who streamed the game. They said it was to keep from spoiling the game for other players. This was just really dumb on the developer’s part, there have been many times that I have been watching a stream and decided that I liked what I saw and bought the game. There have also been times when I avoid certain streams as to not spoil a game for me until I have finished it. Like I said really dumb to try to punish your fan base. I have been playing Destiny 1 and 2 since they each were in beta, and one thing I have noticed they seem to keep moving further and further to try to monetize the games. It’s seem like every chance they get they push the envelope just a little bit further. They have also been doing some shady stuff with the end game progression where players are only getting part of the experience they should towards getting bright engrams. The latest thing is that if you don’t own the Curse of Osiris expansion you are lock out of some base end game content that were previously assessible, they did the same type of thing in Destiny 1. I’m hoping the whole backlash with loot boxes makes them rethink some things. This has been the major topic for the past several weeks in the gaming news. EA has basically made the game play to win with the whole loot box thing, so much so that government agencies from several countries are looking to see if it’s a form of gambling. The loot box thing also seems to be affecting sales of the game as they are way down compared to Battlefront game released in 2015. It got to a point that on the eve of the games release EA got a call from Disney that prompted EA to turn off microtransaction in the game for the time being. EA has also seen its stock value drop as a result of the whole thing. I think what needs to happen at EA is a change in leadership. Prior to the whole Battlefront 2 thing EA closed Visceral who was working on a single player Sar Wars game citing that players don’t want to play single player games anymore. Of course, they have received allot of backlash over this as many have viewed this as another money grab since it’s harder to monetize a single player game. Visceral developed a number of games probable the most notable being the Dead Space games. Like I said at the beginning these are the controversies that stood out to be. 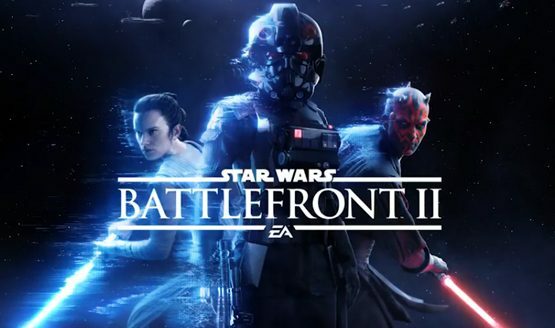 EA appears to be the biggest offender at the moment, it will be interesting to see how the Destiny, and Battlefront 2 things play out, and I’m sure we will have some new ones to talk about this time next year.